But it is the car’s power that sets it apart. With 1,000hp spread across four electric motors (one for each wheel), the Concept_One can accelerate from 0-100kph in 2.8 seconds and reach a maximum speed of 300kph with barely a touch of the pedal. And, as Rimac executes some doughnuts outside his factory in Sveta Nedelja, west of Zagreb, the g-forces pin you to your seat. Rimac began his project in 2009 and to start with he found it hard to be taken seriously. He had no experience in car manufacturing (and Croatia has no motor industry of its own) and his ideas were widely judged to be beyond realistic. “When we started, there were no parts for the car we wanted to build,” he says. “It was out of scale in terms of power and speed, and manufacturers said it was impossible.” Even the most banal components proved difficult to source. One German parts manufacturer wanted €20 million (£17 million) just to start doing business and quoted him €400,000 (£340,000) merely to access its supply of windscreen-washer nozzles. “We realised then that we had to design everything ourselves — the batteries, the motors and the controllers,” he says, “and then build the car around that.” He set up the factory in Sveta Nedelja and recruited a team of young and hungry engineers: half of the 20-strong workforce came to Rimac straight from university. 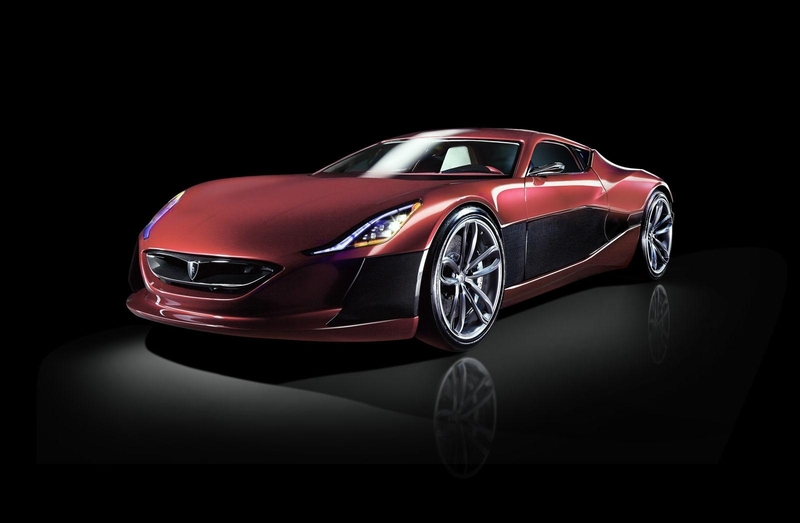 Though short on experience, what Rimac could offer was ingenuity. At 16, he had won numerous competitions with an electronic glove that could replace a keyboard and mouse for people working in difficult conditions. At 17, he developed an anti-blindspot system for car mirrors that was taken up by a number of manufacturers (helping to fund the BMW and his road racing). So when he ran into difficulties sourcing parts for the Concept_One, he began to make them himself. He bought some second-hand aluminium-milling machines, and set about building a prototype. It took him two years but, by 2011, he had a working version of his supercar, virtually all of whose components, from the aluminium-and-carbon-fibre chassis, through the battery pack, electronics and electric motors, to the switches on the dashboard, were designed and manufactured in-house. The car is ready for production — “the motor is almost perfect,” he says — though he shares with all electric-car manufacturers a frustration with the limits of today’s batteries. The Concept_One can cover about 600km between charges if driven gently, or 150km in a race, but Rimac would like to see those figures significantly increased. “Everyone is waiting for a huge breakthrough,” he says. The Rimac plant is still more of a workshop than a factory. Almost everything is made by hand and, when wired visited, two men were manually filing down hundreds of aluminium clips that will hold together a single battery pack. Customers are lining up, however. In January 2013 Rimac delivered a one-off, slightly modified version of the car to another manufacturer and has “several” individual customers who have expressed interest. But he is reluctant to give numbers and name names. His natural market is super-rich car collectors who like to feel exclusive. They especially value a low vehicle-identification number, he says, and like to be near the front of the queue. What he needs in order to go into full production is investment, and this has proved trickier than finding customers. In 2010 a representative of the Abu Dhabi royal family, with an offer of “significant” investment, approached him. The deal fell through after two years’ negotiations when the sheikhs made it a condition that he relocate to the Gulf. In the meantime, the factory has an annual turnover of about €1 million (£850,000) and is just about breaking even by supplying white-box parts to other manufacturers converting their existing petrol models to electric.